While the World Health Organization (WHO) has declared a public health emergency for Zika virus that's been in headlines around the world, a couple of Brazilian ad agencies have come up with a unique way to combat the global epidemic. 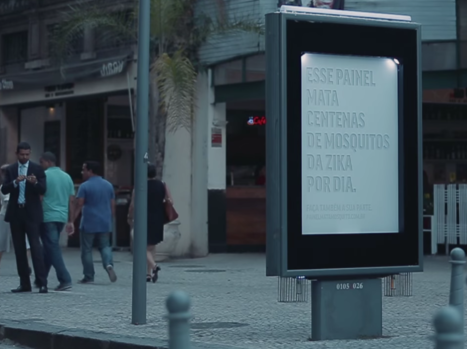 The advertising agencies have installed two revolutionary billboards in Rio de Janeiro that attracts and kills mosquitoes that could potentially carry the disease. The blueprints and instructions for creating the all-purpose mosquito trap are being made available free of cost, as its creators believe it could help in the fight against the aedes aegypti, the mosquito species that carries Zika, including other serious viruses like dengue and Chikungunya. The novel concept was created by Rio-based marketing agencies Posterscope and NBS in Brazil, both part of Dentsu Aegis Network. So how does this work? Well the billboard works on a simple principle, deceive mosquitoes into thinking they've found a human, and then trap them in the panel until they die of dehydration. The installations emit a combination of carbon dioxide and a lactic acid solution, which mimics the composition of human sweat something that mosquitos are attracted to. Mosquitoes can detect the combination of breath and sweat from as far as 4km (2.5 miles) away. Fluorescent lights on the display further make the trap even more enticing. Fans embedded into the device create positive pressure and once the insects crawl into the sign, they become trapped and eventually die of dehydration. They fall to the bottom of the enclosed display, where the blood-thirsty insects lie as proof of effectiveness. Cleaners remove about hundreds of dead insects from each board every day. 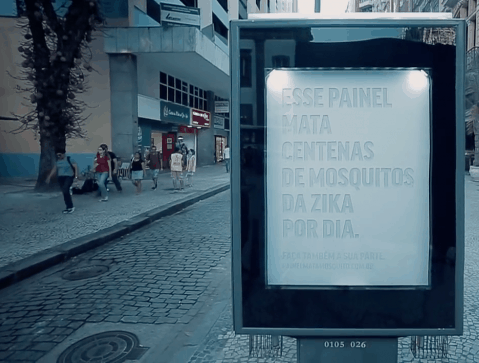 The Brazilian ad agencies have placed two billboards ten days ago in two neighborhoods in Rio de Janeiro worst hit by Zika — Tijuca and Downtown. They will stay there for about a month before the agencies put up another one in western Rio. However, they're hoping they won't be the only ones. 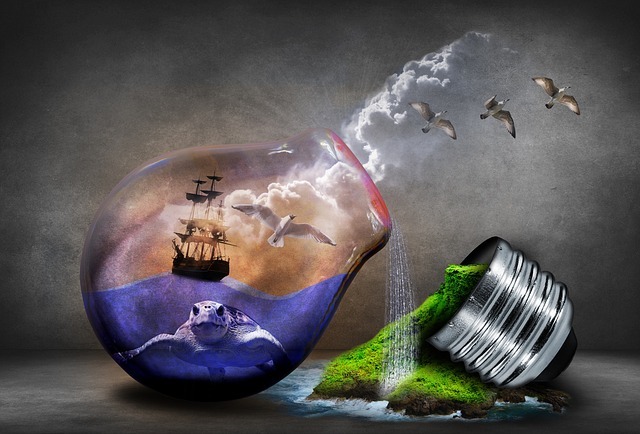 The agencies are trying to encourage and convince people, brands and even governments to spread the idea. People can build their own mosquito traps, which need not necessarily double as advertisements. It costs about 10,000 Brazilian real, around $2,800 to construct one, though mass production could reduce the cost considerably. According to the World Health Organisation, there have been more than 1.5 million Zika cases reported in Brazil since April 2015. The virus can lead to microcephaly, a condition that causes babies to be born with abnormally small heads. 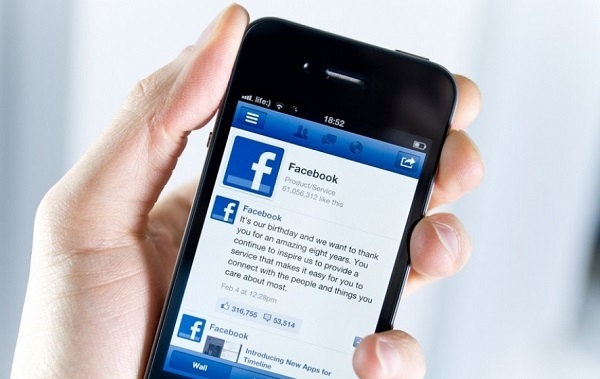 Facebook to acquire navigation App Waze for $1bn?